Vol. 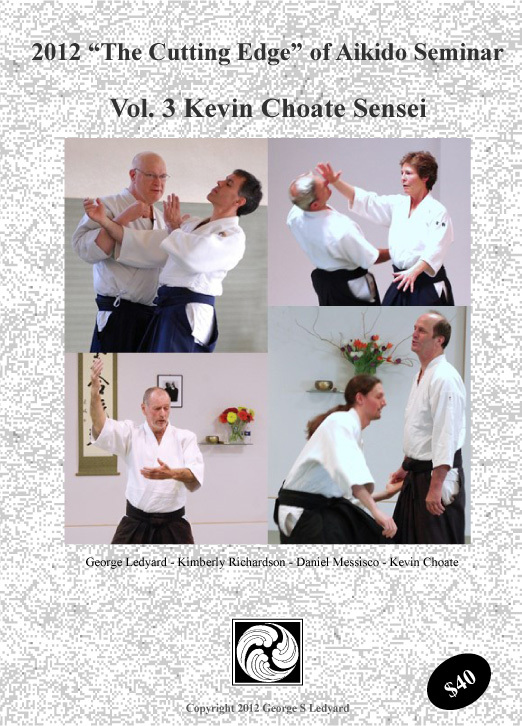 4 in the Aikido Weapons of Mitsugi Saotome Shihan series, this three disc set (available only as a download until after the New Year) contains the Aikido Jo Forms (Aikido Jo Kata) developed by Saotome Sensei during his time as Chief Instructor of the Aikido Shobukan Dojo in Washington, DC. 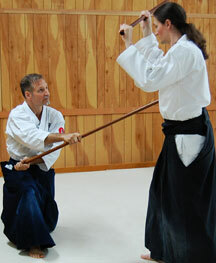 There are 10 “Patrol” Jo Kata (Aikido Jo Forms starting with the Jo carried under the arm) and 6 “Kasumi” Jo Kata (Kasumi means smoke – these are Aikido Jo Forms involving deceptive movement that fool the opponent’s perception). These Aikido Weapons Jo Kata are unique to Saotome Sensei’s Aikido and were never taught widely outside his DC dojo. 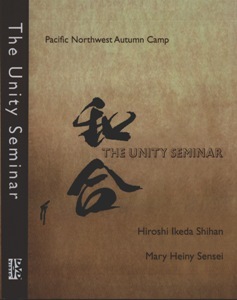 Robert Deppe Sensei, Aikido 6th Dan and a direct student of Saotome Sensei provides detailed, step by step instruction on these forms as part of a project to document and preserve all of the weapons work developed by Saotome Shihan in his fifty years of teaching in the United States.. Clips of Deppe Sensei running through the forms with another senior in the DC dojo are interspersed with lengthy instructional clips filed at Aikido Eastside where Deppe Sensei taught a seminar the Patrol Forms and the Kasumi Forms. The download will give you two files for each disc. One is an .m2ts file which is the high def file for viewing on your portable device or computer. The other is an .iso file which will allow you to burn your own DVD if you prefer that format. Links for instructions for doing this are on the homepage. Please note that Disc 3 has a short, 18 minute portion in which, due to microphone failure, there is no sound. It only effects the verbal explanation of two Kasumi Forms. We believe that the visual video footage alone is very clear, due to Deppe Sensei’s wonderful ability to physically show the forms, and what is being demonstrated should be clear to any but the newest beginner.